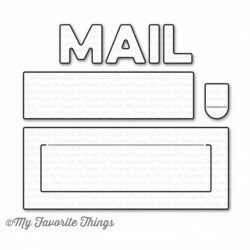 Mini Mail Die-namics by My Favorite Things. 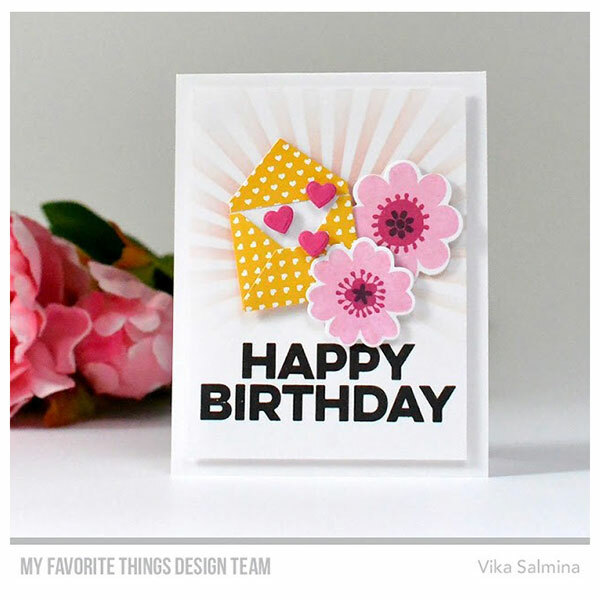 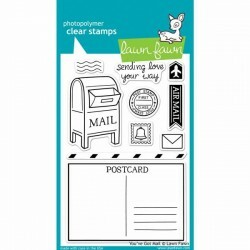 The Mini Mail Die-namics includes everything you need to craft adorable mini envelopes. 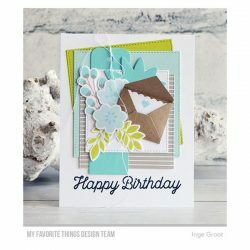 Showcase your tiny envelopes singularly or in groups. 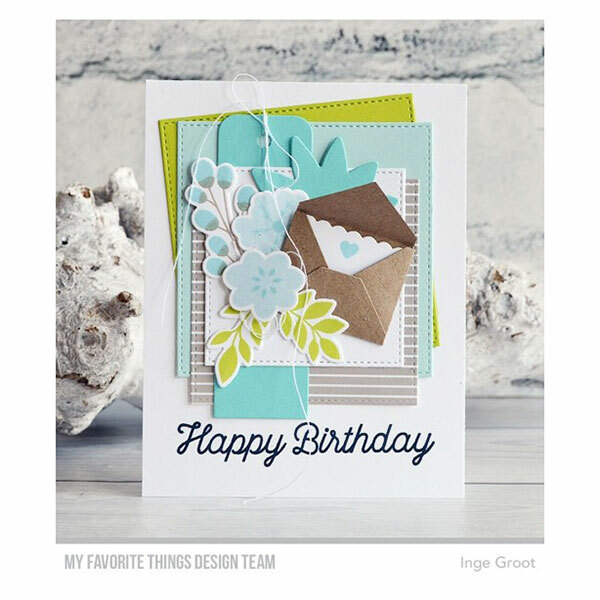 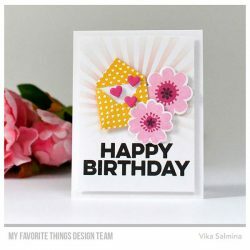 Use them as a decorative accent or insert tiny notes featuring one of the stamp sentiments or your own handwritten greeting. 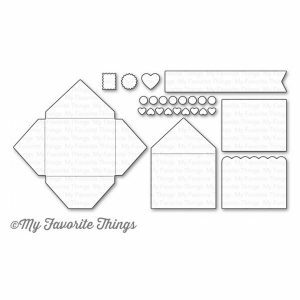 This 10 piece set includes: Envelope 1 5/8″ x 1 3/8″ folded, Liner 1 1/2″ x 1 1/4″, Notecards (2) 1 1/2″ x 1 1/4″, Seal 3/8″, Postage 5/16″ x 3/8″, Heart 3/8″, Sentiment strip 2 7/8″ x 1/2″, Confetti (2) (individual confetti measures 3/16″).